Night Watchman continues to innovate when it comes to the latest forms of effective personal protection. 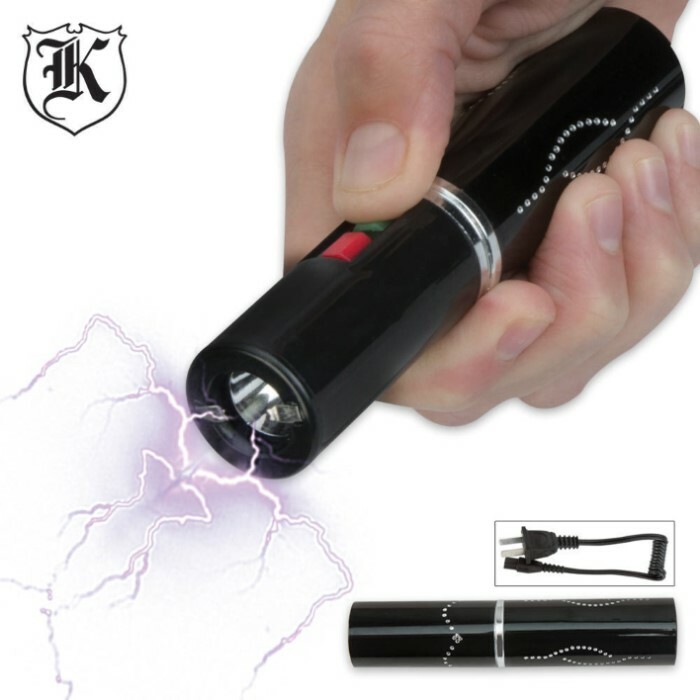 This Black Lipstick one-million-volt stun gun flashlight combo provides you with both a super-bright LED flashlight and a powerful shocking capability that will help you to bring an attacker down. 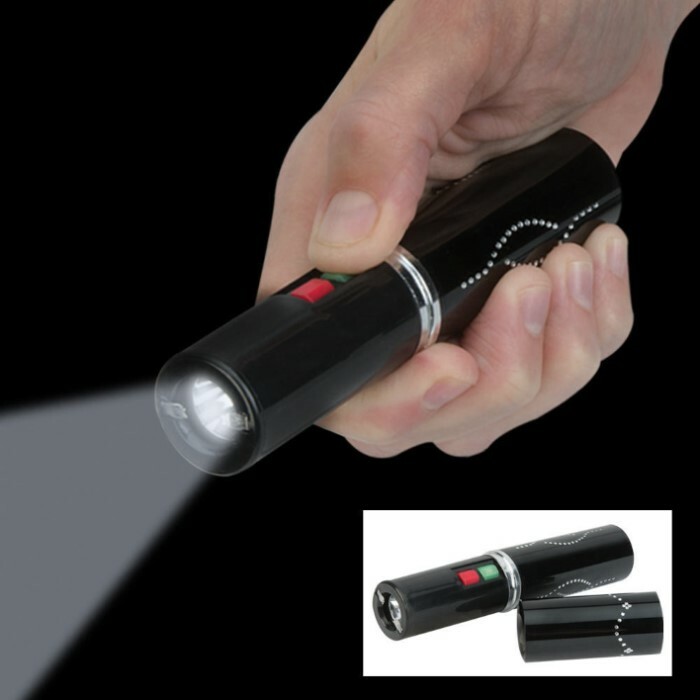 The design of this unique stun gun flashlight allows it to be concealed easily. At 5" in length with decorative embellishments, it looks like an oversized tube of lipstick. You've never encountered lipstick this tough before! No other personal defense name has your back like Night Watchman! Friend of mine has one, told her she can try it on me. She has had the lipstick tazer in her car for 4 months without recharging it. Took it in the shoulder through a thick shirt and wow! I jumped back like a cat on a hot tin roof. No muscle tensing, just a hot pain. Let a 2" light burn mark. Have video, good times!